Are you noticing details in life? When you are outside, can you see the detailed pine needles and branches of trees when you look up? Do you see toads and snakes on the ground when walking? 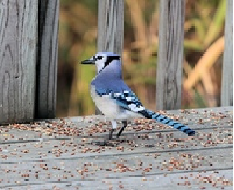 Are you seeing birds in your line of sight while walking or driving? Or maybe you are noticing these details and so much more? Maybe you are seeing the subtle energy field around animals and people? No matter where you are on the “frequency scale” you can take deliberate steps to raise your frequency and improve your life. In my early twenties while in a very unhealthy and violent marriage, I was in survival mode. Getting through each day was enough and the truth is I didn’t notice much else. Trees where green blobs above me and I wasn’t that aware of birds and animals beyond our dog and cat. The very day I left that marriage and moved out of the unhealthy situation, the world became detailed and crisp. Trees did have beautiful details, birds were singing and chirping and the world was teeming with life all around me. I noticed it. Once I left the muck of a relationship holding me back, people were kind and lovely to me. Strangers, friends, and family, smiled encouragement and were loving beyond what I could have imagined. It is so important to take stock of where you are currently, decide to take action, and shift your attention. Once you do that, the universe flows to greet you at the new frequency you’ve attained. Tune into the natural world around you: Start by paying attention to the smallest details in the world around you as you go through your day. If you are sitting on a park bench, notice ants and bugs nearby. If you are walking see if you notice dragonflies, butterflies, and moths. Listen up: What are you listening to? If you think of your head as an empty vase each morning and as you go through the day, you fill yourself up with…. What exactly? Are you turning on the news and reading headlines and negativity each morning? Or are you listening to beautiful music? What you listen to will either lift your frequency or sink it like a tank. Opt for natural sounds, inspirational music that lifts your spirits, and even better if you can sing along with it and belt out lyrics that are positive and uplifting. Appreciation & Gratitude are the fastest path to increasing your vibration or raising your frequency. When we show the universe we are grateful for the blessings we already have in our life, the universe conspires to bring us more to be grateful for. It’s that simple. YOUR voice in your head: Are you putting yourself down or lifting yourself up? It all starts with you baby! How are you talking to yourself? The divine spark that lives in you deserves to be honored and revered and if you don’t treat yourself like a Queen or King, how can you expect anyone else to? Start thinking high frequency thoughts and you can say them as mantras inside your head: I am LOVE, I deserves the best, I am awesome, I am limitless, I am just one, but I am one, and I make a difference. What would your Grandmother say about your life? I bet she’d encourage you to reach for the stars so that you just might land on the moon! Think Big! Think Brilliant! Eat more fruits & veggies. Really, this will help raise your frequency a lot! In fact, go for the gold and do a whole body cleanse to purge toxins out of your life and eat clean. Eating animals will ground you so think about more vegetarian options. You will feel the difference! Eliminate toxins from your home: Pay attention to the cleaning products you are using and go green with them. Seriously, as you raise your frequency, strong chemical scents will start to bother you so be sure to go green with the cleaning products. Drink UP… if water is like God or Infinite Source, then drinking lots of water will have you feeling like you are walking on clouds. Rainbow Shower Meditation – Use the time cleaning your body to do an energy cleanse and release all of the energy vampires from your energy field. You can download a free version sung professionally by the beautiful Lori Diamond on the bottom of the home page of my website. Meditate, Meditate, Meditate and you absolutely will be raising your frequency on a regular basis and soon, you’ll be connecting with the highest realms and it will feel great. Note: On Earth Day 2018 – re-posting this popular blog that I originally shared in April 2016! Hope you enjoyed it. About the Author: Laura Emerald, Psychic Medium, Healer, Teacher and Author of We are HERE: Whispers of Love, a short collection of channeled messages from Children in spirit and available on Amazon. Laura is passionate about bringing together lightworkers, and like-minded folks to help individuals attain a higher vibration and help the planet increase its frequency for the health of all! After a twenty plus year corporate career in Software Quality Assurance, Laura discovered her ability to communicate with those in spirit. Laura has been bringing messages of hope and healing to her clients ever since, helping thousands heal and evolve. Laura lives in central Massachusetts, USA. Would you like a FREE Powerful Energy Clearing minute and thirty second Rainbow Shower Meditation to help you clear your own energy field or uplift and raise your own spirit? Wishing you and yours a warm and wonderful Thanksgiving. If your heart aches for missing one of your loved ones, know that they are sending hugs to you just like this little boy told his mom recently and I am humbled to have been the messenger. With permission, I am sharing this story to warm your heart this Thanksgiving. A few weeks ago I did a home party mediumship event on a Thursday for about ten women. Early on in the evening a young boy about the age of 9 years old presented himself to me in the middle of the room. He had brown hair and looked like a skinny Christopher Robin, lean and lanky. He told me the numbers 4 and 9 were significant relative to his life. He was not aligning with anyone in particular in the room, which in my schema means he’s the son of a friend of someone in the room. Nobody claimed to know him. The boy looked at me and said quite clearly: “They will figure it out and when they do, please ask them to give my Mom a message from me. Please tell her and my family, that I’m doing great. I know they still miss me, but I love them and I’m fine and give a hug from me.” Then he backed away. The next evening the same group of women were together at a Tupperware Party and someone said they thought the little boy was the son of a women they all used to teach with whose son passed to spirit 20 years ago when he was only nine. They hadn’t seen the Mom in at least 6 years, but all of the women had been thinking it might be this little boy. The following Monday at school, two of the women who still teach at the same school were in the faculty lunch room and who is there, but this little boy’s Mom. They nudged each other to pluck up the nerve to go and share his message with her. The Mom got called to substitute teach that day even though she hadn’t been at that school in six years. When they gave his Mom his messages, she was so grateful. She confirmed he was diagnosed with Leukemia at 4 and passed at 9 years of age. She also said she was so particularly sad this year because many of his friends were getting married and starting families. With the holidays coming, she was really missing him and wondering how he was. This message from her little boy, 20 years later was so gratefully appreciated and healing. If you would like to book your own group event for your group of family or friends, email me and we can send you lovely Gift Certificates. Speaking of gift certificates, you might want to consider getting into the holiday spirit by giving the gift of “Spirit” through a Gift Certificate. They make a lovely gift and I have some clients who make it an annual tradition. 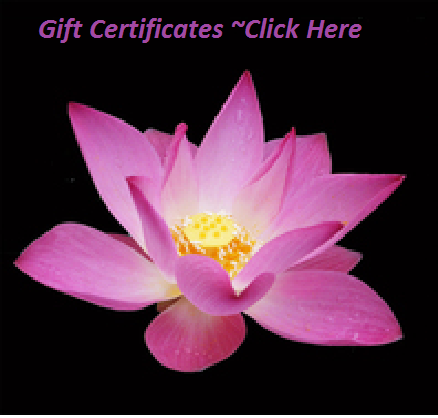 To order gift certificates, click the link below the lotus to process your order and email me your address. 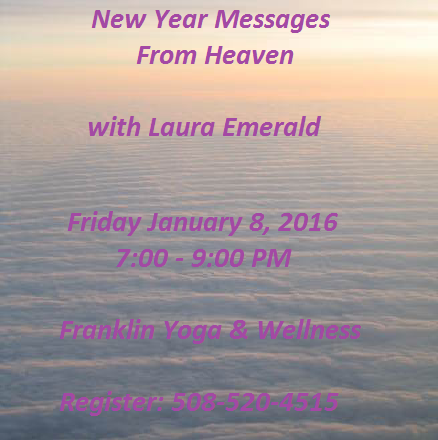 Some of you who used to attend my Mediumship Circles have been asking me when I’ll do another public group event and I’m excited to be sharing New Year Messages from Heaven on Friday, January 8, 2016 from 7:00-9:00 at Franklin Yoga and Wellness! This limited seating venue will fill up quickly so be sure to sign up early for $10 off the ticket price. Click below the photos for more information! 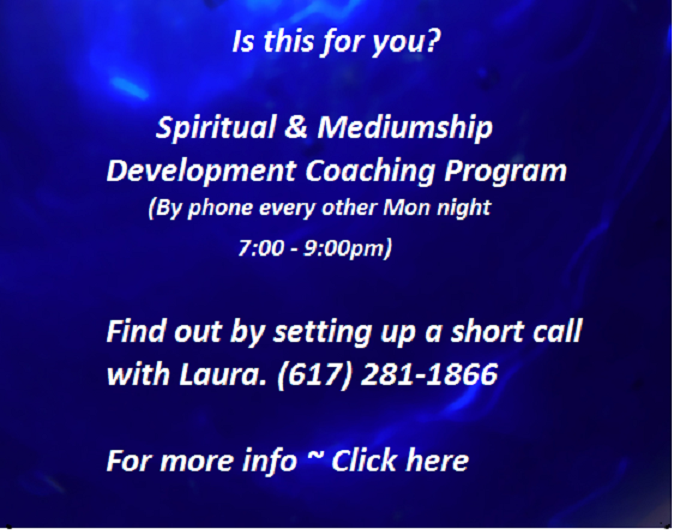 Looking for a Spiritual & Mediumship Coach? If you need support with your grief or loss, contact Barbara Hopkinson, founder of A Butterfly’s Journey and a certified Grief Recovery Specialist for help getting to a new normal. Barbara’s personal experience with loss makes her an ideal resources for those needing help. Visit her website or call her today. Have you noticed signs that your loved ones are around you? Today, My Mom got my attention by sending a Blue Jay to my bird bath as I sat at the kitchen table. She sent a message through me to my sister for her birthday. Your loved ones are also trying to get your attention. Are you hearing them? Seeing pennies from heaven? Stop and enjoy the connection. Empower Yourself and Develop YOUR OWN connection! 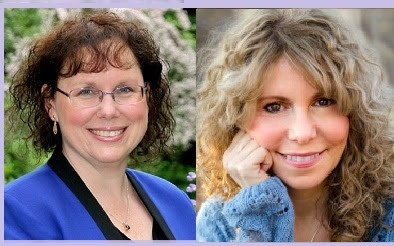 Join Laura Emerald & Katherine Glass for a Spring Beginner Class or Refresher! 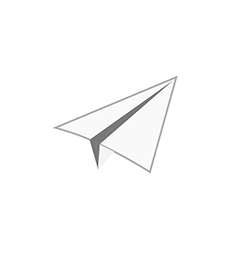 Want to develop your ability to communicate with the spiritual realm a few hours a month? It’s the best way to make significant improvements in your ability! 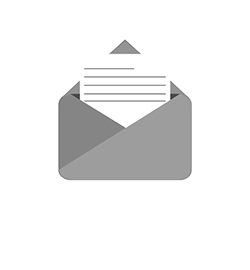 Green Tip of the Month: Instead of buying new gifts for the holidays, try giving holiday adventures, gift certificates, and recycled, up-cycled, or re-gifted items of yours that are sentimental.